I finally got around to adding more links. 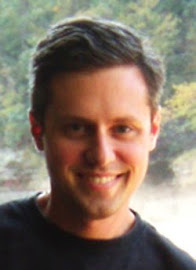 If you would like me to add a link to your site, just let me know. Revolution! made the BGG Hot List today! From the moment I started this project years ago, I have always had a burning desire to see my game make this list--even for a day. Now it's happened! Thanks, all you fellow board game geeks! Word is getting out. Very exciting! Revolution! has been mentioned on Boardgamenews.com (and added to the Gone Cardboard section) and this French site I've never heard of before. Thanks, guys! Also, I've been doing a little shameless self-promoting over at BGG on the Designer Forum. Update: Games Fanatic (Polish) and Deck & Board (Italian). Also CosimShop (German). 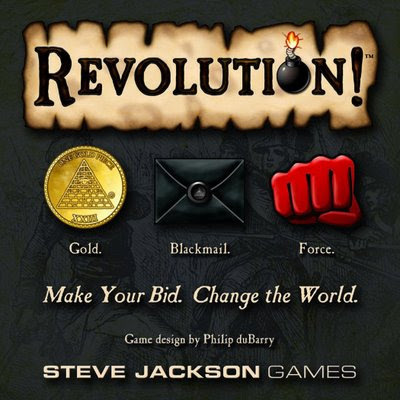 The Steve Jackson Games version of Revolution! will be released in April 2009! It looks like they've done a superb job with the cover, and I'm sure the rest of the game will be great, too. Hats off to Phil Reed and all the guys at SJG.